William Robert Dickinson (Bill) was one of Bermagui’s great benefactors over the fifteen years he resided in the town. He hailed from the NSW Southern Highlands where his father, S Dickinson, built a country estate and residence in 1886. Bill Dickinson was a regular visitor to Narooma and in 1934, because of poor weather, and seeking a change from fishing, visited Bermagui for the first time. It was love at first sight. On that one day here, he is supposed to have noted that the cemetery contained an unusually high proportion of very elderly people, so Bermagui must be a healthy place to live. his home for the next 15 years until his death in 1950. 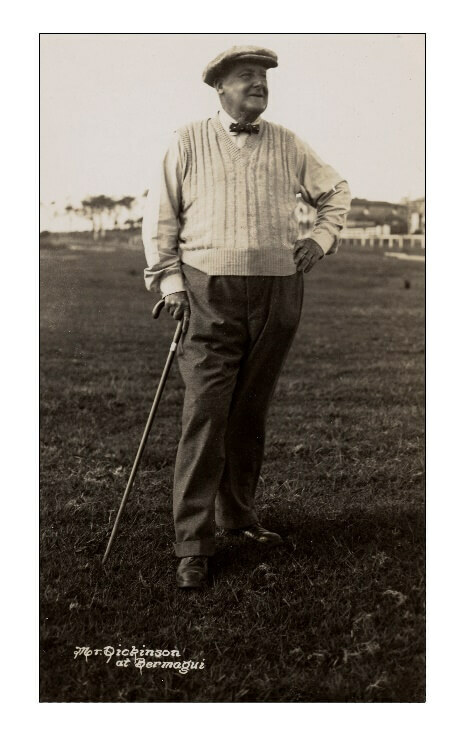 Bill Dickinson was a refined gentleman of obviously independent means, was a Batchelor and philanthropist and owned several prime lots of land in Bermagui. Two such blocks in the names of his nephews, Sam and Pat Osborne, were donated to erect the Horshoe Bay Retirement units at 5 Montague Street. 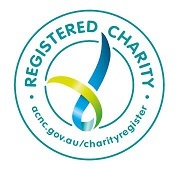 In the crowded 15 years, he funded wholly or partially a number of civil projects to beautify Bermagui and to provide facilities for the residents. His use of local labour in depressed times is still recognised and applauded by the older residents. Dickinson Memorial Cup. It was competed for at the annual gymkhana held on the Dickinson oval on Easter Monday. Blue Pool. 1937-1939. Bill initiated the project to develop the Blue Hole into a good -sized saltwater pool. 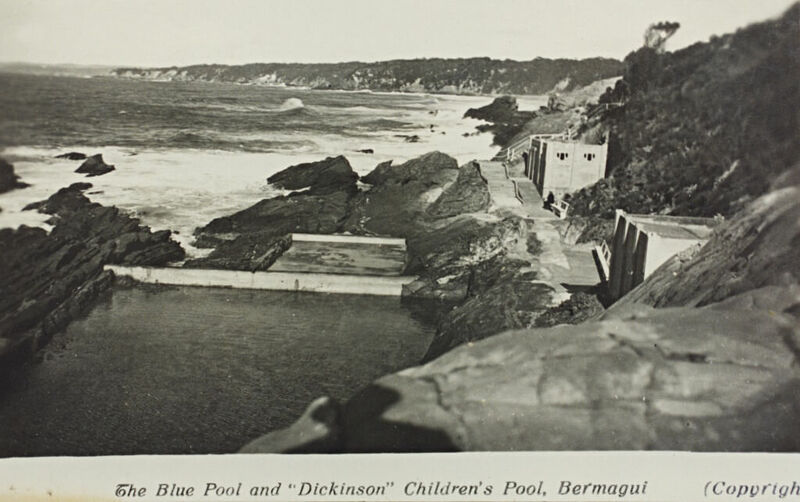 He personally paid for concrete steps to replace the steep dirt track leading down to the pool, concreting the floor of the wading pool and the back wall of the pool and for two water tanks for use by picnickers at the Blue Pool. His total contribution to the pool project was at least 300 pounds. Empire Cracker night-held 24th May each year. 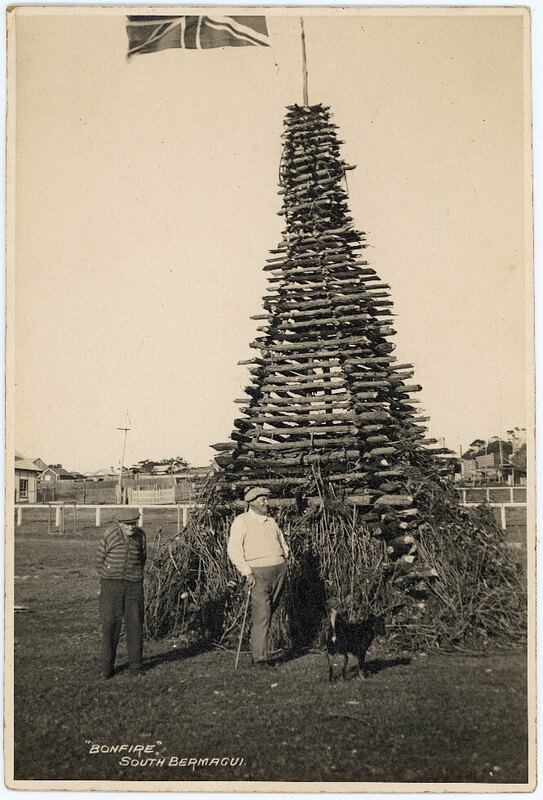 A6-7 metre pyramid of saplings was built for the bonfire topped by a flag. The revellers would gather around to watch the show. Children would save their pennies to buy bungers and rockets to let off. Using earth-fill to raise the level of Dickinson Park and Oval to minimise damage due to high tide, plus fencing, sheds, water tanks, children’s swings and trees. Construction of 4 tennis courts, now at Bermagui Country Club. Bill died in Bermagui, Boxing Day 1950 and was cremated elsewhere but there are many reminders of his presence within Bermagui.